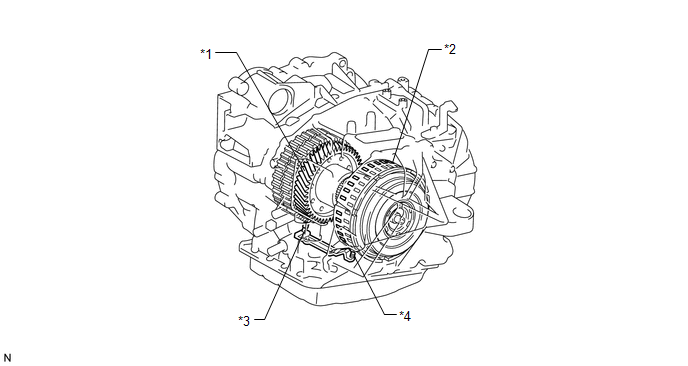 This sensor detects the rotation speed of the turbine which shows the input revolution (speed) of the transaxle. By comparing the input turbine speed signal (NT) with the counter gear speed sensor signal (NC), the TCM detects the shift timing of the gears and appropriately controls the engine torque and hydraulic pressure according to various conditions, thus, providing smooth gear shifts. The NT terminal of the TCM detects a revolution signal from the speed sensor (NT) (input RPM). 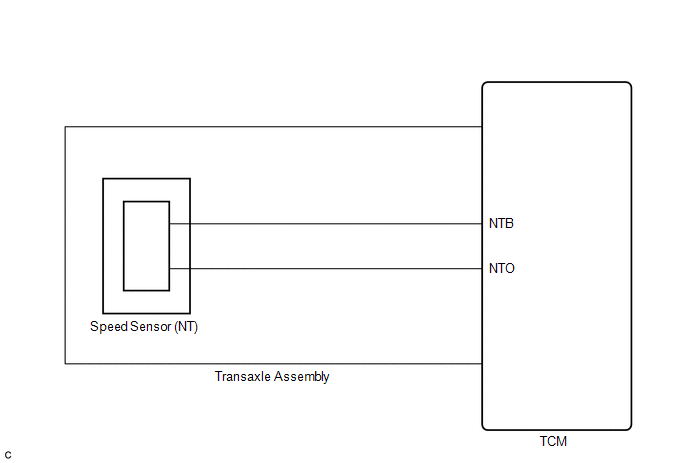 The TCM calculates gear shifts comparing the speed sensor (NT) with the speed sensor (NC). While the vehicle is operating in 2nd, 3rd, 4th or 5th gear with the shift lever in D, if the input shaft revolution (speed) is less than 300 rpm*1 although the output shaft revolution (speed) is more than 1000 rpm*2, the TCM interprets this as a fault, illuminates the MIL and stores the DTC. *1: Pulse is not output or is irregularly output. *2: The vehicle speed is 50 km/h (31 mph) or more. The monitor will run whenever this DTC is not present. Turn the ignition switch to ON. Enter the following menus: Powertrain / ECT / Data List. 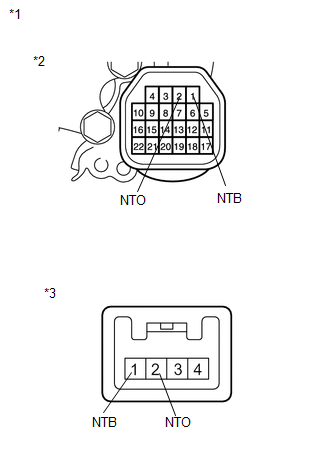 SPD (NT) is always 0 while driving: Open or short in the sensor or circuit. SPD (NT) is always more than 0 and less than 300 rpm while driving the vehicle at 50 km/h (31 mph) or more: Sensor trouble, improper installation, or intermittent connection trouble of the circuit. (a) Remove the valve body assembly. 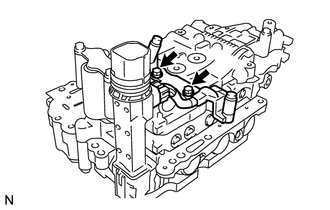 (b) Make sure that the connector is properly connected, and check the speed sensor installation. The installation bolt is tightened properly and there is no clearance between the sensor and transaxle case. (b) Disconnect the speed sensor connector from the transmission wire. (b) Start the engine and turn the Techstream on. (c) Enter the following menus: Powertrain / ECT / DTC / Clear. Write down the currently output DTCs before clearing them. (d) Perform the monitor drive pattern (See page ). (e) Enter the following menus: Powertrain / ECT / DTC. (f) Read the DTCs using the Techstream.